Because while war never changes, the platform and user interface has a tendency to. Grand Kingdom is an upcoming tactical RPG game for the PS4 and PS Vita where players take on the role of a mercenary living in a land that is currently caught up in a conflict between four neighboring kingdoms all fighting for control. The game has an offline mode where players create characters to join the mercenary guild and try to uncover the mystery behind the fall of the empire that once dominated the land. Players can also take characters that they’ve created and leveled up in the offline campaign and use them in battle in the online mode where they can invade an opposing country or protect the country of their allegiance against other players in perpetual conflict. Think Bladestorm: Nightmare with more factions, more anime-esque characters, and hopefully less bugs. 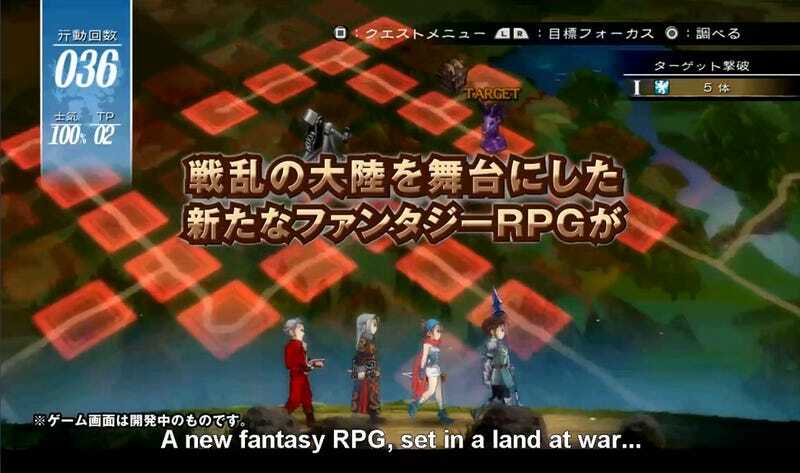 Grand Kingdom is scheduled for release on the PS4 and PS Vita in Japan this year. No word on an international release.